Split Tendering in POS is when you use more than one payment to close a check. The process is the same regardless of payment type. The examples shown here include two credit card payments, both preauthorized and with tips added. For checks split between separate persons you might want to split the check first and then process only the payment applicable to each person's check. We recommend that you do a test ticket to split tender before going "live" with guests so that you can see how it will work. When you are on the Total screen, select the payment type. 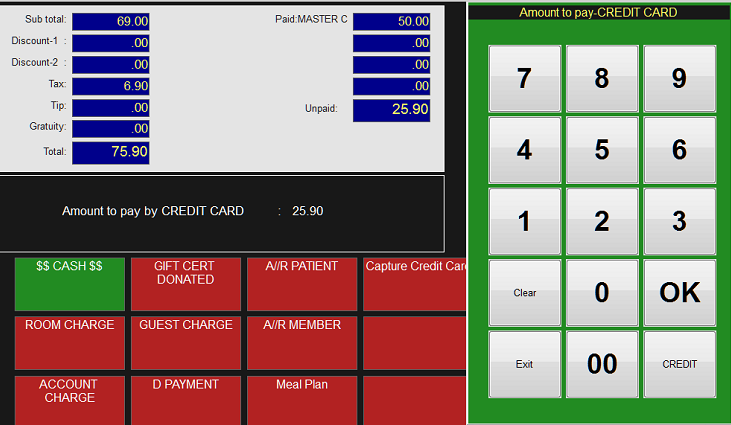 In this example, "Capture Credit Card" was selected. At the prompt, enter the amount to pay on this portion of the tendering. To preauthorize the card so that you can later add a tip, select "Pre-Authorize". Otherwise select "Close Sale". This is what the payment section of the Total screen after the first transaction. Note that although it reads "Paid", the amount at this stage is only preauthorized. Select the second payment type. Enter the amount to pay to this payment. If it is the remaining unpaid sum you can just select OK.
You will process this payment in the same way as the first. When you are finished preauthorizing you will return to the table or item selection screen, or the login screen. If you selected "Close Sale" on credit cards, or selected a non-credit card payment, the check closing has been completed. When you are ready to close the check bring it back up and go to Total again. The amounts preauthorized for each credit card displays in the payment section. 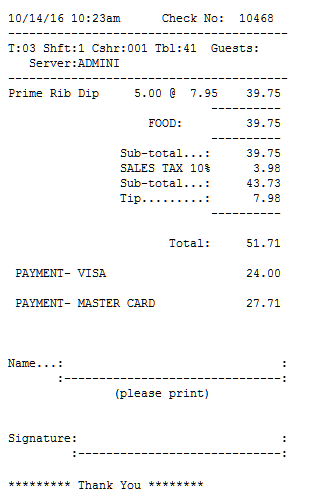 This time select "Tip Entry" on the Total screen. You will be prompted to enter the tip for the first credit card payment. Immediately you will be prompted to enter the tip for the next credit card payment. By default the system prompts for tip for each payment. 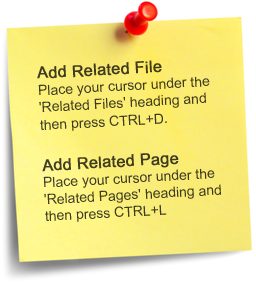 This can be disabled in the MENUINI configuration. If disabled, then only one tip entry prompt will display.